Daniel Kapellmann | At the beginning of January 2017, Ford canceled plans to build a $1.6-billion car factory in San Luis Potosí, following criticisms by then President-elect Donald Trump. The project was expected to generate 2,800 jobs. Whereas it took some 10 years to negotiate and enforce a mechanism to strengthen commercial bonds between Canada, the United States and Mexico, today, after 23 years in existence, the North American Free Trade Agreement (NAFTA) may be overrun in just a couple of months. After US President Donald Trump presented a series of accusations against the Mexican government taking advantage of the treaty clauses, his counterpart, President Enrique Peña Nieto, announced at the beginning of February that no asymmetric negotiations would be accepted. In parallel, the US government started driving investment out of Mexico through different threat mechanisms that include the announcement of potential tax increases of up to 35% on Mexican imports. 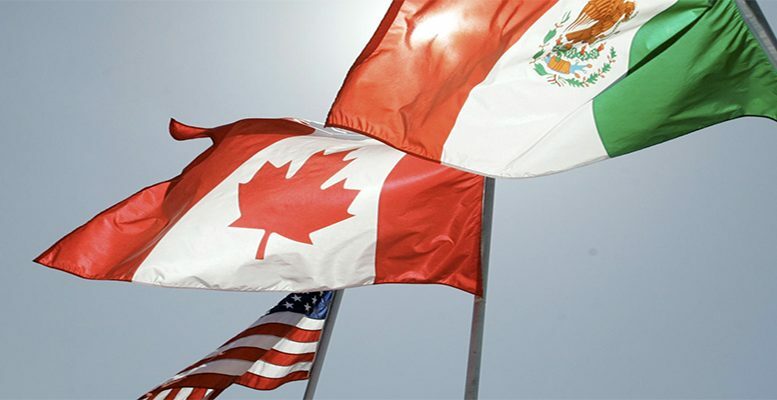 Given the current tensions between both governments in terms of security and trade, collaboration within the North American region may soon suffer robust adjustments. Even though potential modifications to improve NAFTA have been discussed over the past few years, the demands currently presented by the US may lead to an impasse. Although any reconfiguration of NAFTA is unlikely to take place at least before the end of the year, the Mexican government should be prepared to handle the potential negative effects of this change on its economy. This will be no small feat because at the present time the country is a low-skilled, export-oriented economy tied to the North American market as the Bertelsmann Stiftung’s Sustainable Governance Indicators (SGI) project analyzes in its latest Mexico report. Over the past two decades, trade between Mexico, Canada and the US increased from $290 billion in 1993 to more than $1.1 trillion in 2016. Several industries will most likely be affected by a reconfiguration of the current agreement. That includes automobile manufacturing, agriculture, food and beverages, as well as the production of other goods such as electronics and house equipment. However, in a scenario that sees the suspension of NAFTA, the US is also not likely to be benefited in the long term. The lack of access to cheaper labor and products from the Mexican market may ultimately increase internal costs in the US, thus increasing the price of its products against other competitors such as China. For this reason, any modifications in the treaty could probably become temporary or limited to certain areas. In spite of all the difficulties that the current reconfiguration of US-Mexican relations could bring along in the worst-case scenario, new doors are opening too, providing relevant opportunities for Mexico to start diversifying its economy and increase trade with countries other than the US. In fact, as the SGI shows, even before relations with its northern neighbor deteriorated, the Mexican government has actively participated in international trade negotiations to reduce its dependence on the US. However, the SGI also notes that the Mexican government has had only limited success in this respect. Given the uncertain future of a favorable agreement between Mexico and the US in terms of trade and labor, the intensification of commerce with South America, Europe and Asia will now most likely become an even greater priority for Mexican policy-makers. During the first months of 2017, Mexican government started a third round of negotiations to renew its agreement with the European Union and manifested its interest in establishing a new deal with the United Kingdom. Additionally, negotiations related to the Trans-Pacific Partnership (TPP, recently abandoned by the US) seek to strengthen the commercial bonds with Peru, Chile and Colombia. Attention has also been placed in maintaining close communication to exploit mutual interests with Canada and collaborate with Argentina as well as Brazil for obtaining alternative sources of products such as grains. In the case of Asia, Mexico could seek to increase the flow of goods and services, as well as foreign direct investment with countries such as China, Japan and South Korea. China is currently placed as the second major business partner of Mexico and potential alliances could take place, for example, in the automobile industry. However, intensification of trade with other regions will not be a simple task. It is not just because of its geographic location that Mexico is such a close trade partner of the US but also because of the complementarity of both economies. For instance, Mexico sends 80% of its manufactured goods across its Northern border which are made out of goods that contain up to 40% of goods manufactured in the US. In order to push for changes, the Mexican government will have to carefully evaluate the strategic redistribution of products between the different regions to avoid potential disruption of production chains. A drastic reconfiguration of the Mexican market could probably strengthen the country’s economy, but it would most likely represent a complicated and long process in case NAFTA negotiations reach an impasse. Although in the short term the Mexican economy may suffer temporary contractions, following these strategies would ultimately support the country to expand and become more independent through the establishment of stronger ties with other nations. It seems that there are alternative paths that may also lead to making the southern part of North America great. Are Mexico and America Heading for a Breakup?